Our team from Alliance International IT would like to make your project, as simple and pleasant as it can get. We would like to offer you with simplified version of mobile ui design with fast track branding. Starting from app development to mobile development process, there are loads of options available. Through our mobile app ui design, you can continue to adjust and even improve the said values. 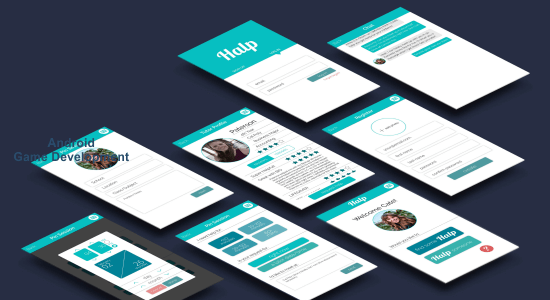 As we are improving your work like anything else, therefore, procuring the finest mobile interface design from our side is not a difficult task, at all. You can easily hike the present growth of your firm. Our team is dedicatedly working to deal with responsive form of mobile design and web designing package. Our firm has already worked with various startup and established firms, and would like to design the perfect solution to the mobile friendly platforms. 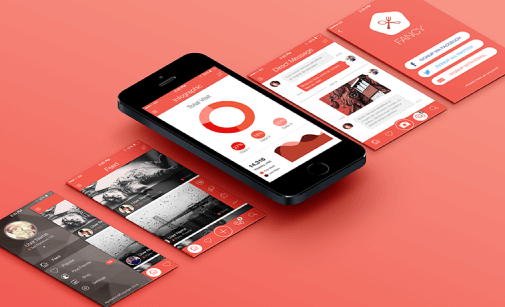 Get along with the best5 mobile app ui design, which is hard for you to miss. We are ready to offer simplified and fast tracking brand and app design, to go with the interface. For us, nothing comes first than customer delight and experience. Our main intention is to help you in making your project seen as market leader in usability, design and innovation. Our primary aim is to balance professional relationship with clients, along with individualized and personal services. Get the best mobile interface design, which will act as the finest innovative session of all time. We would like to guide clients to match with their individualized and personal service. Get the finest support throughout branding process and mobile app development. We are going to be by your side from the mobile interface design to the final marketing launch. We can even design a separate interface for responsive web design services. We are likely to design a perfect solution, meant for mobile platforms. If you want to make your site more appealing, then we would like to help in extracting information from various sources to make yours. That helps us to focus towards your single project once. We have complete dedication towards your work now. Our primary aim is to make user interaction and experience with your business as efficient and friendly one, as possible. It starts with UI design and development package. Starting from design ecommerce to UI design for Android, we have best solutions for you. There are loads of options available. If you are looking for our mobile ui designer, you will get value-added service under UI Design firm. We would like to help you in designing the finest UI grid. For UI mobile design to UI design process, we have loads of options available. Get to choose the best UI design with the help of CSS3 and HTML5 platform. Our team would further like to help you with great information architecture and functionality, to work wonder with the UI design patterns. Our team would also like to be by your side for content and terminology. The packages are said to vary from one category to another. We would even like to help you in introducing new technologies on a daily basis. These are meant for those with no online facility. With our mobile ui, you are definitely going to catch up with greater rewards for attracting masses. Always make sure to keep the design simple, and enjoy the finest services of all time. Your users will have a wonderful experience, after visiting your website for the best result. Our app ui designer is available here to handle various types of work. Whether it is a mere change in website look or something massive, you are always welcome to come and join hand with us for better response. We would like to offer you with quality help, whenever the right time comes. It might have started with the UI or UX design, but get the best packages for Android app development too. You can further win for the best iPhone app development package from our side. Be the first one to come and grab the best package under Angular.JS category. We would like to make the necessary changes, to match well with client’s needs. Under the UI or UX sector, our designers would like to offer help under analytics and brand strategy. We can even help you with best screen flow diagrams along with best maps. Get the best experience design along with Android apps, for some better response. We have teamed up with experts to help you in this regard. Get the solid service from our side, without wasting any time at all.